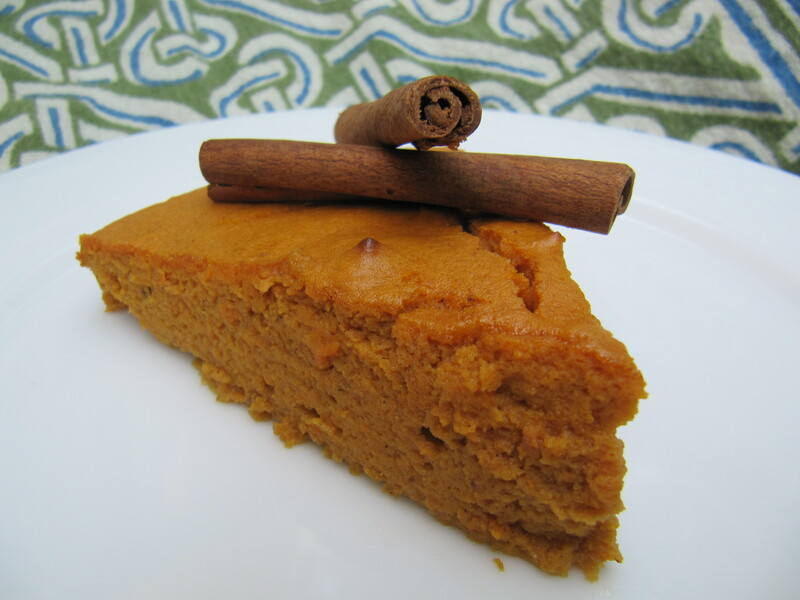 This light and fluffy sweet potato “pie” is great for pre/post workout nutrition. It is very reminiscent of sweet potato pie filling and is so incredibly easy, having only three ingredients. This entry was posted on Tuesday, April 19th, 2011 at 6:37 pm	and posted in Uncategorized. You can follow any responses to this entry through the RSS 2.0 feed. This looks great! I love recipes that are both simple and delicious. Can’t wait to try it. Thanks! I have always been a fan of the easy/tasty combo! Sounds amazing! This will satisfy my craving for pumpkin pie for sure. The only addition I would make to this pie would be a fork. and my mouth. Yum! I started up a blog about pie, and I’m going to link this recipe in a post about affordable pie. Thanks! I just cooked this but do I need to put the pie in the fridge before serving so the pie is kind of hard? You can serve warm or cold, but served warm it is more of a souffle type texture. Chilling it gives it that pumpkin pie texture. I was directed to your sweet potato pie after ragging on paleo treats for all their unnatural ingredients and fruit sugar. Nice job! This is real food. Thanks Peggy! It is quite difficult to find paleo recipes without some “added sweetener”, be it a lot of fruit sugar or honey. What size pie plate do you recommend? Thanks! I just use a standard 9″ pie plate, which is about 1.25″ deep. How many servings is this yummy recipe? That really depends on if you are enjoying it as a dessert or a full meal, which I often do! For dessert service, it is 6-8 servings. why is this cake not raising?? This is not a cake. It should increase in size as it is baked due to the eggs, but it will not rise as much as a cake that contains baking soda/powder. My daughter LOVES this! She considers it a treat but knows it’s great for her. 😉 I’m gonna try it with pumpkin for myself as I am on the 21-Day Sugar Detox right now and can’t have sweet potato. Thank you so much! MandieM.com » I Change Lives and Play Dress Up! » Who Is Mandie? + Fit Foodie Friday!